A great stop along the scenic Highway 101 is America&apos;s largest sea cave. This cavernous preserve is the year-round home to hundreds of Steller sea lions which often lounge around its rocky interior. Winter is the best time to view the sea lions inside the cave. In spring and summer, these wild marine animals gravitate to outdoor ledges along the shoreline. Take a video peek at the cave&apos;s current activity in the Sea Lion Caves Gift Shop before descending the 200 ft (61 m) by elevator into the viewing area. When the cave is packed with bellowing sea lions, it is one of those never-to-be forgotten unique experiences. 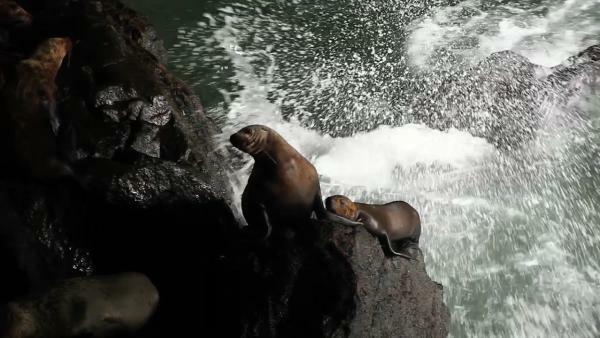 However, even when the sea lions are out playing, the cave itself is still a fun adventure. Entrance to the grounds also includes shoreline paths perfect for birding, whale watching and spotting other marine life. 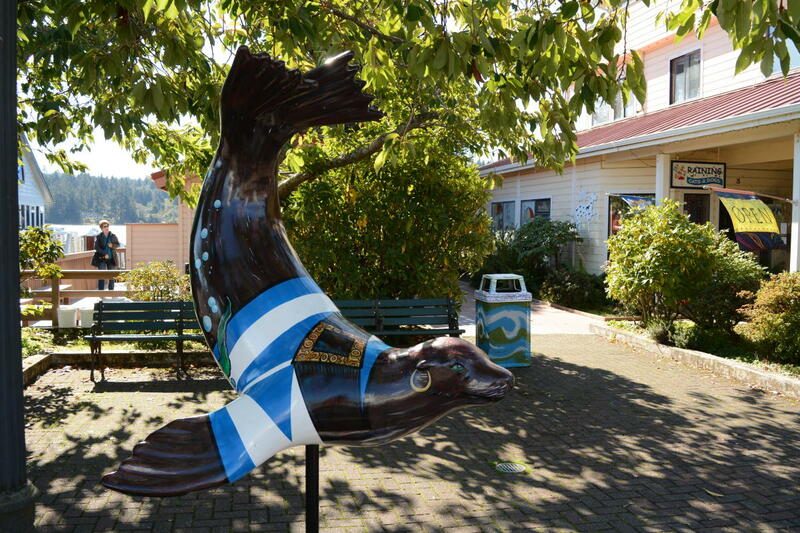 In 2016, Florence honored its sea lion population with the creation of the "Dancing with Sea Lions" art exhibit. Massive fiberglass statues painted by many different artists were sold or auctioned off to benefit the Florence Events Center. Many of these colorful statues are still accessible for public viewing.